1939 flyer from the Hotel Reichshof in Hamburg, Germany. 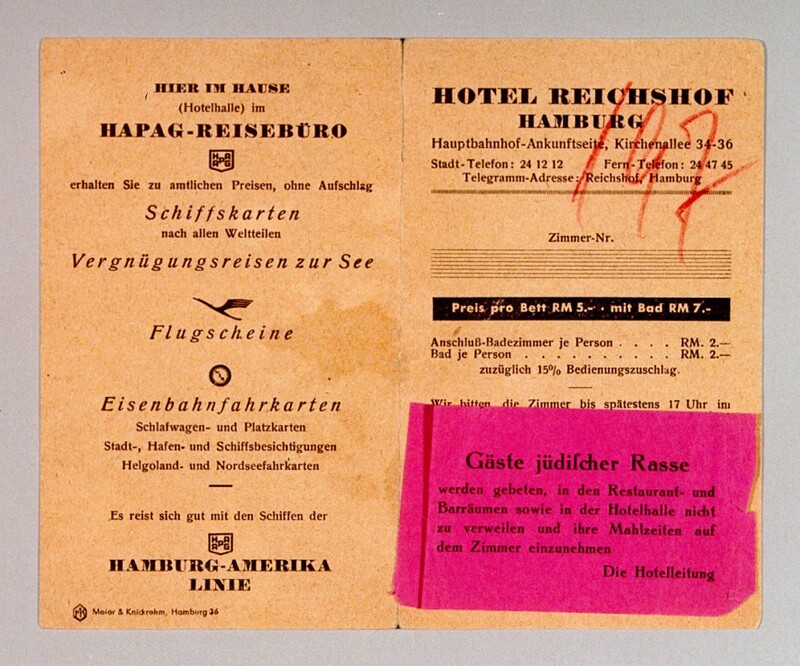 The red tag informed Jewish guests of the hotel that they were not permitted in the hotel restaurant, bar, or in the reception rooms. The hotel management required Jewish guests to take their meals in their rooms. Following the Nuremberg Laws of 1935, Jews were systematically excluded from public places in Germany.